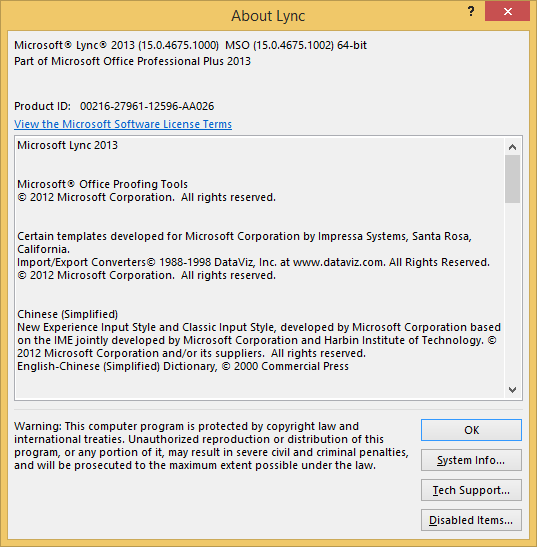 Hot on the heels of – and fixing a bug introduced *in* – November’s, we now have a December update to the Lync 2013 client. Read all about kb2910927 here. 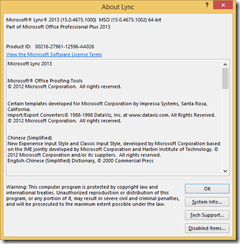 This update takes the Lync 2013 Client to 15.0.4675.1000/1002. Alas, yes – although the KB says no. The MSO update set the reboot flag apparently. (Click the image for a more legible view). Here’s a before and after comparison of the x64 client on my Windows 8.1 machine.